The BJUR Agency is excited to present a brand new batch of ground-breaking music from Brooklyn's contemporary jazz and improvised music scene. Emilio Teubal leads a multinational instrumental ensemble based in NYC. His unique writing is the result of fourteen years of New york City Urban life: a perfect balance between his own Argentine music heritage and a New York-infused sonic palette. Emilio’s music consists of rhythmically and harmonically rich pre-composed structures and improvised sections that highlight the musicality of each member of the band. This is what makes each performance of the group so fresh and special, and the reason why audiences around the globe have been captivated by Mr Teubal’s music. A true collective in spirit and reality performing original music by each member. Their debut release "A Portrait of Brooklyn" was selected International album of the year by Swiss daily Nordwestschweiz, and received rave reviews worldwide. "Marvelous writing, remarkable chemistry, rewarding listening" - Bill Milkowski, JazzTimes. 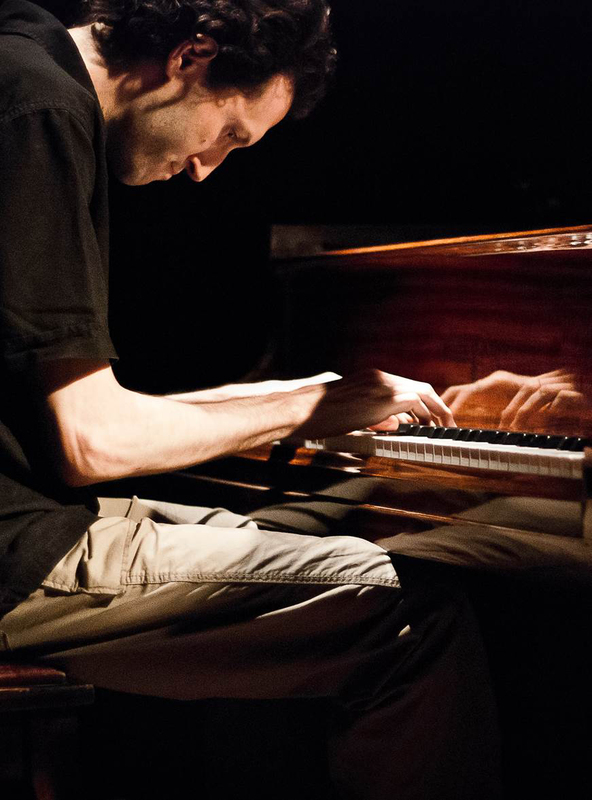 Guarna’s natural ability to play and compose with phrasing reminiscent of his idols, has enabled him to develop a unique compositional voice in the modern jazz tradition. Tom Guarna is releasing an exciting new recording entitled “RUSH” on the in february of 2014. “RUSH” contains 8 original compositions by Guarna, which range from intense up tempo flights such as, “Rush” and ”Movement and Repose” to the beautifully reflective ballads “Elegy For Etan” and ”Dreamland”. Each composition features a beautiful solo by Guarna and exciting contributions by fellow band members, Danny Grissett, Johnathan Blake, Orlando le Fleming and Joel Frahm. Powerful rhythms, borderless songwriting, fearless Improvisation. These four world-class musicians (Josh Ginsburg, Eli Degibri, George Colligan and Rudy Royston) transform the musical space. Zembla Variations selected as a 2012 Album of the Year by The New York City Jazz Record. The unique blend of Ms. Iversen’s musical voice and the outstanding artistry of her band members create an explosion of emotion, with high energy and deep interactions at every performance. Described as “part of the next standard in jazz” by Stephan Moore, JazzWrap and Bill Milkowski, JazzTimes writes: “This outfit is definitely one to check out”. With Blake’s The Aquarian Suite, a recent release from Brooklyn Jazz Underground Records, you have a recipe for a wildly successful jazz performance; eight new compositions for “chordless quartet” that stretch the boundaries of modern jazz while staying true to the forms set by the masters; a “Mingus meets Monk” quality of blues-inflection, compositional unity, and ever-present melodicism; and an incredible band comprised of Blake on tenor saxophone, who has recorded and toured international stages with luminaries like Julian Lage, Esperanza Spalding and avant garde veterans like Anthony Braxton and Lukas Ligeti. Joining him are Jason Palmer on trumpet, Jorge Roeder on bass, and the ubiquitous Richie Barshay on drums and percussion. Long before terms like “1 percenters” and “Occupy” entered our conversations the great Spanish playwright and poet Federico García Lorca was writing about the inequality he witnessed while in New York City in 1929. Bassist and composer Alexis Cuadrado now presents “A Lorca Soundscape”, a brand new cycle of original jazz protest songs drawn from Lorca’s poetry. 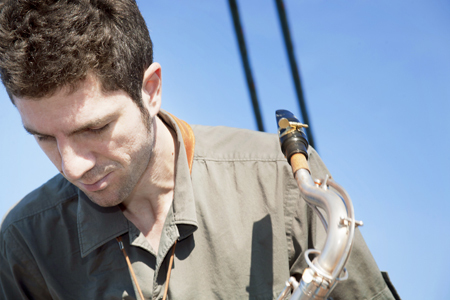 With an exceptional band, Cuadrado creates a groundbreaking dialog across time using a unique blend of jazz, flamenco and new music. All BJUR artists are in the roster and potentially available for booking. No exclusivity!! Please note: remove the spaces around the @ sign before sending us a mail.